Emily is one of the two authors that officially made me a YA fan. (The other is Rektok Ross.) 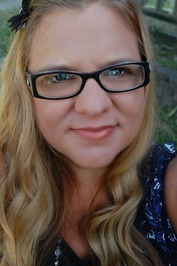 Emily is the author of the Cambrooke Series. I’ve read and reviewed the two of the books that are now available: Here Comes The Light, and Running Back. Today, Emily is visiting TBAP to tell us more about herself and her work. Miranda: Hello Emily! Welcome to TBAP. Please tell us a bit about yourself. Emily: Hi! Thanks for having me. I’m a mom of two, and, I celebrated my 15-year anniversary with my wonderful husband in the last week of July. I love to read, and of course, write. I love summer and taking pictures. I had a photography business which was called Cambrooke Photography, before going into writing, so I do all my cover designs myself. 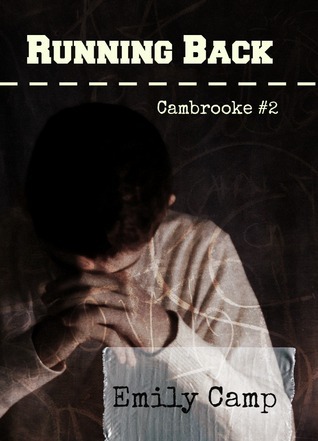 The name, Cambrooke, comes from combining my kids’ names. I’ve always loved creating things from nothing, and writing and photography have been wonderful avenues to express myself. Miranda: You’re an author in the Christian YA genre. What led you into that? Emily: Well, it just kind of happened. 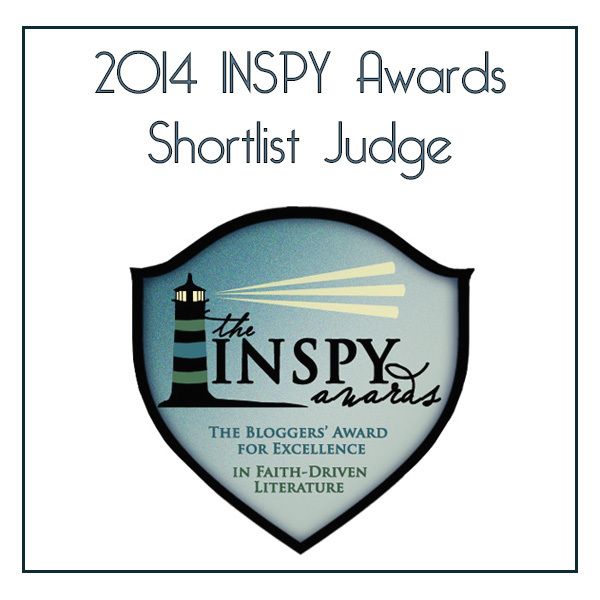 I knew God called me to write and, I tried for a couple of years to produce something. When an idea finally came, it just happened to be about teenagers, which has also become my favorite genre to read. But I’ve always loved watching teen TV dramas. When I was a teenager, my dream was to write one. So this is kind of a forgotten dream coming to fruition. I’ve also come to realize the need for this the need for people to be able to relate with/to teens, and not just constantly tell them what they should and shouldn’t do. Miranda: So, how do you plan your stories? What’s a typical day like for you? Emily: Honestly, I’m not a planner. I just sit down with some sort of idea and start writing; the characters tell their own story as I do. A typical summer day for me is getting up and doing light house work, and possibly throwing dinner in the crock pot, before carrying my laptop and a few good books out to my pool where I spend my time either sitting under an umbrella writing, floating around my pool reading, or swimming with my kids if they decide to venture outside. Also, I write more at night; late night seems to be when the words flow best. During the school year, I home-school my children. We do online schooling, so I don’t have as much time for my writing as I’d like. But with the children getting older, I’m not as hands on as before. My son is going to be a freshman soon, so I won’t have much I have to do with him, and, my daughter is in third grade just now starting to be a little bit more independent. I still, anyway, will have to stay up late to get words down. Miranda ~ When you write, what do you hope to pass across to your readers? Emily: I want them to know that they’re not alone. No matter what they’re going through, there’s always hope. And, no matter what people say to them, they’ve never done anything too horrible that God won’t take them back. I want them to know that Christianity is not some crazy, out-there, weird thing, that you can still live a real life in the real world, and have a personal relationship with God. I think so many people get caught up in all the rules they have to follow. It isn’t about how many church services you attend each week, or how long you read your Bible today. It’s about connecting with people and God. Things are going to happen that aren’t always pretty, or the way people think they should be, but nothing is too big, or too ugly for God to handle. Miranda ~ Please tell us, what inspired the Cambrooke Series? What’s next in the series—a snippet, please? Emily: It wasn’t originally intended to be a series. 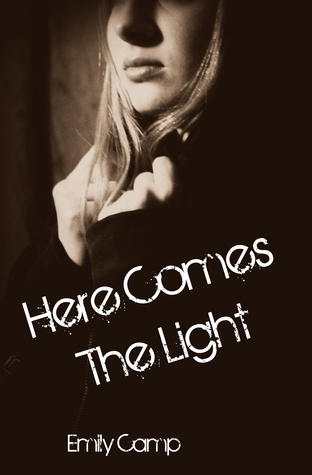 When I wrote Here Comes The Light, it was to be a standalone. I finished the first draft and thought, maybe, I might also write about Bree and Garrett. It was a few months before I started, though. Then I showed people. They wanted more, and so did I. I wanted to see what would happen with these characters if I wrote their story. When I first started Here Comes the Light, I saw the love triangle trend in Twilight and The Hunger Games, and I thought there could be a way to present the gospel in love triangles. Also, many Christians struggle with going back to their old ways after they’ve come to know Christ, even when their new life is better. In Here Comes The Light, Miley was the believer, Declan represented Christ, and Hudson, the world and the old life. Some readers found it frustrating that she kept going back to Hudson. But several times after I was saved, I, too, kept running back to the things that I was addicted to, before I finally got it right. I actually have 13 rough drafts in all for this series. Not sure if all will be published, but there is more of Bree and Garrett, and also Miley and Declan, as they will have life throw all kinds of stuff at them meant to break them. Their faith in God would waiver, but they’d eventually make it through. Hudson and Isaac get their own stories as well. The next one, and third book in the series Overcome is about Carly. I’m not sure at this time how much I should say without spoiling Running Back for those who haven’t read it yet. I guess I’ll just say she finds healing in her story. Miranda ~ Any plans yet for after the series? Emily: Yes, I actually have a couple of standalone novels that I plan on putting out there in-between the Cambrooke novels, and one that’s a spin-off. You know the football team they were playing against when Hudson and Garrett had a fight in Running Back? I have a story about a couple from the other school who meet at that game. The story follows the couple through to their early twenties. Still trying to decide if it will be a trilogy, or if I should condense the story into one book. It’s about a pastor’s son finding himself in a situation similar to one of David’s in the Bible. Miranda ~ Please tell us, how can your readers find you? Emily: You can find me on my blog, twitter, goodreads, and facebook. Coffee or tea? Neither. I don’t like coffee. Or tea. I get my caffeine from Coke. Rain or snow? Rain. I hate the cold. Seventeen year old Miley is always in a whirlwind trying to keep up the facade of being perfect. On the outside she is what everyone expects. On the inside she is dying. She deals with what most teenage girls deal with, not feeling pretty enough or smart enough. Her best friend doesn’t do much on helping the self esteem either. And why does this one boy she has known from kindergarten but never really had a conversation with all of a sudden keep popping up in places she happens to be? Read the TBAP review. Sixteen year old Garrett Light is the middle child of a Christian family. He’s tired of living in his older brother’s shadow. With football, friends and parties, he doesn’t have time to waste on his family and the several church services that he’s forced to go to every week. Meeting the girl of his dreams is even more pressure on him when he has to keep her a secret. Though all secrets have a way of coming out. How far will he go before he realizes his family are the one he needs to turn to? This story isn’t just about faith and first love. It’s also about relationships between friends and family. This is the second in a series but can be read as a stand alone. Read the TBAP review. Emily lives at the top of a hill in rural Ohio where she spends her time between writing, reading, and homeschooling her two kids. In the summers she does most of her writing under an umbrella by her back yard pool. Emily’s love for fiction started before she could remember making up crazy stories in her head, as a little girl; her teen years was when her passion for writing began. After becoming a mother she put her writing aside for several years, until God nudged her to pick it back up again. She self-published her first book, Here Comes the Light, in October 2013. Read the Savvy Saturday Weekly Paper. Thanks to Miranda for taking the time to interview me and blog about it.